SINGAPORE, Feb. 21, 2018 – As the only North American luxury cruise line to be granted permission to offer voyages to Cuba, Regent Seven Seas Cruises is adding more visits to the Caribbean island on two itineraries in 2019 and 2020. Seven Seas Mariner will offer the line’s first immersive Cuba itinerary on her October 15, 2019 voyage, calling on Havana, Cienfuegos and Santiago de Cuba, providing guests more opportunities to engage in group, people-to-people activities intended to enhance contact with the Cuban people, and to immerse in the island’s culture. Havana is also being added into Seven Seas Navigator’s April 25, 2020 voyage. Regent Seven Seas Cruises is the world's most inclusive luxury experience with a four-ship fleet that visits more than 450 destinations around the world. Seven Seas Mariner’s upcoming 2018 drydock refurbishment will conclude Regent Seven Seas Cruises’ $125 million refurbishment program to elevate the elegance of the whole fleet to the standard set by Seven Seas Explorer. In early 2020, Regent will perfect luxury with the launch of Seven Seas Splendor. The cruise line’s fares include all-suite accommodations, round-trip business-class air on intercontinental flights from U.S. and Canada, the largest collection of free, unlimited shore excursions, unlimited internet access, highly personalized service, exquisite cuisine, fine wines and spirits, prepaid gratuities, ground transfers and one-night, pre-cruise hotel package for guests staying in Concierge-level suites and higher. For more information about the world’s most inclusive luxury experience, or to make a reservation, please contact a professional travel agent, visit www.RSSC.com, or call 1-844-4REGENT (1-844-473-4368). 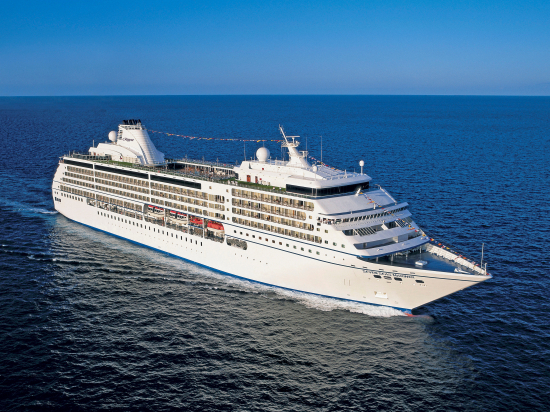 For the latest news, please visit www.RSSC.com/news; like the line’s Facebook page; and follow @RegentCruises on Twitter. Celebrating its 25th anniversary in 2017, Regent Seven Seas Cruises is the world's most inclusive luxury cruise line with a four-ship fleet that visits more than 425 destinations around the world. Regent Seven Seas Cruises is currently undergoing a $125 million fleet wide refurbishment that will elevate the level of elegance found throughout the fleet to the standard set by Seven Seas Explorer, which entered service on July 20, 2016, and has since been recognized as the most luxurious ship ever built. A leader in luxury cruising, the line's fares include all-suite accommodations, highly personalized service, exquisite cuisine, fine wines and spirits, unlimited internet access, sightseeing excursions in every port, gratuities, ground transfers and a pre-cruise hotel package for guests staying in concierge-level suites and higher. For the latest news about Regent Seven Seas Cruises, please visit www.rssc.com/news.